We love trying out DIY and natural recipes for things we love. One of my kids LOVES chapstick and lip balm. He must have the softest lips of any kid I know! 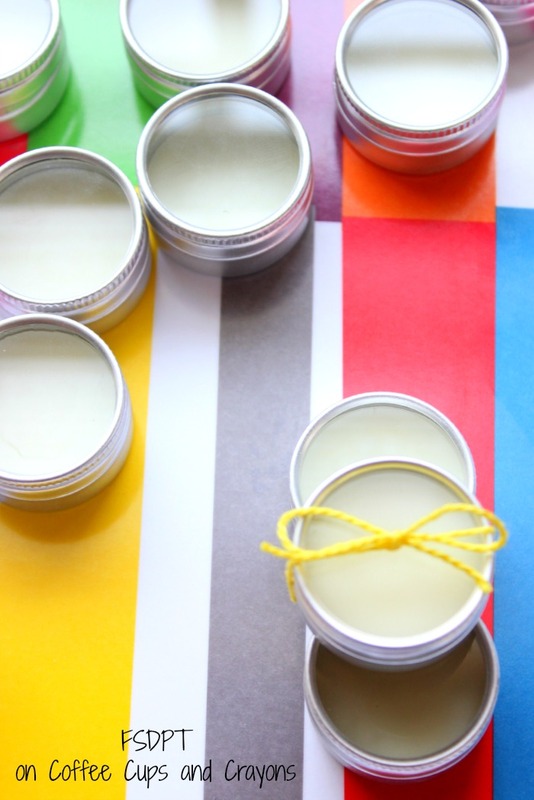 Being the mom to all boys, lip balm might be one of the only health and beauty items we can enjoy together. They love helping me mix up homemade scrubs and soap too. 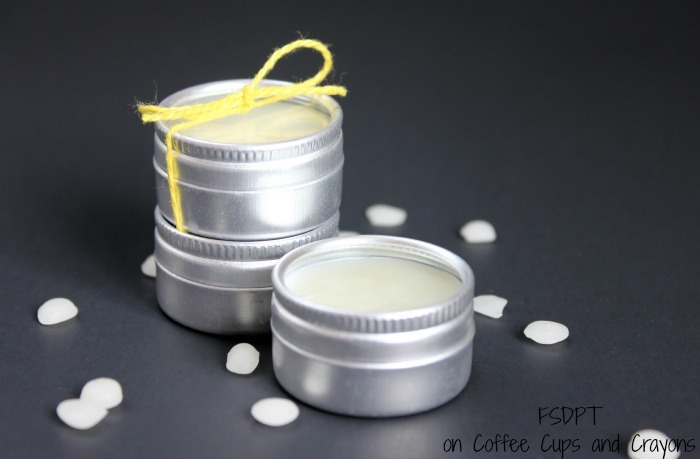 So I thought trying out our own DIY Lip Balm would be fun! 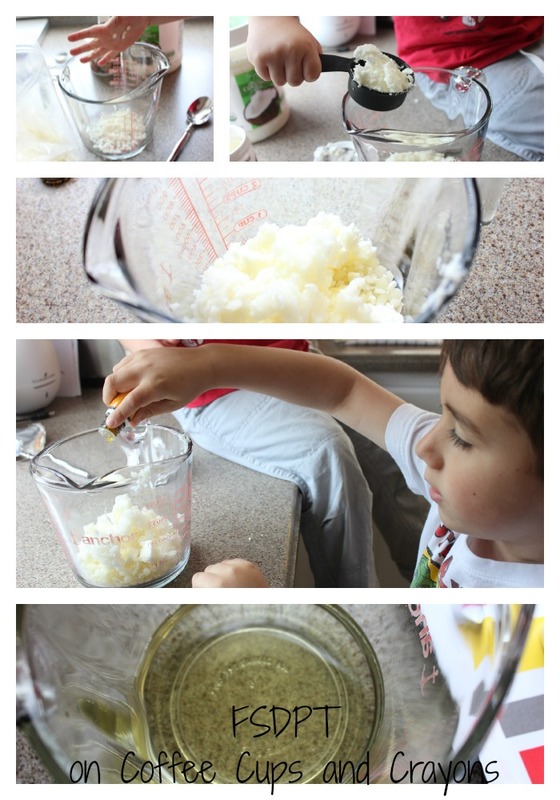 We did NOT like the recipe we used with shea butter. Leave that out!! Grab a Pyrex Measuring Cup out to start. If you do not have one (and like to make your own products) buy one! It comes in handy to have over and over again. 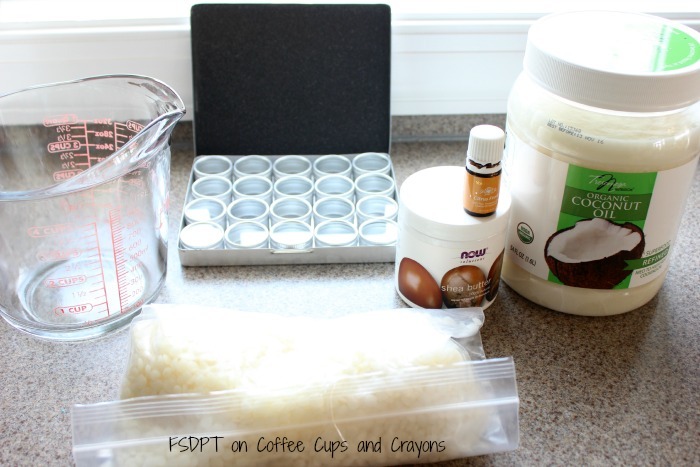 Add coconut oil, beeswax, essential oil, and vitamin E if you have it. I could not find ours but wanted to use it in the recipe. Place in the microwave for 2 minutes and check. We had to put ours back in for another 30 seconds to a minute. Once the ingredients are liquified it is ready. Be very CAREFUL THE PYREX IS HOT!! I use a pot holder to get it out of the microwave. I take over from here and let the kids watch. I set a tray out and had them take all the tops off the lip balm containers. Once I got the liquid lip balm out of the microwave I was ready to pour it over into the containers. You do not want to waste too much time so the liquid does not turn back into a solid before you get it in the containers. I filled all of the containers and also ended up using some little paint containers I had gotten at the Dollar Tree last year. Glad I saved them because they came in handy! This makes a lot of lip balm! We are going to gift some of ours and keep some. Next time we make it I may use half the recipe just for us, but the extras do make great homemade gifts. I may even try mixing up a new recipe! 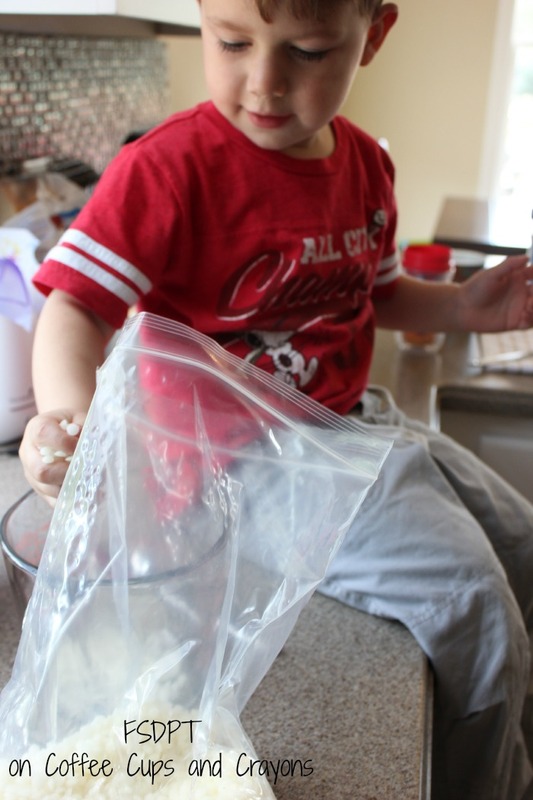 I love having fun and trying new natural products with my kids. 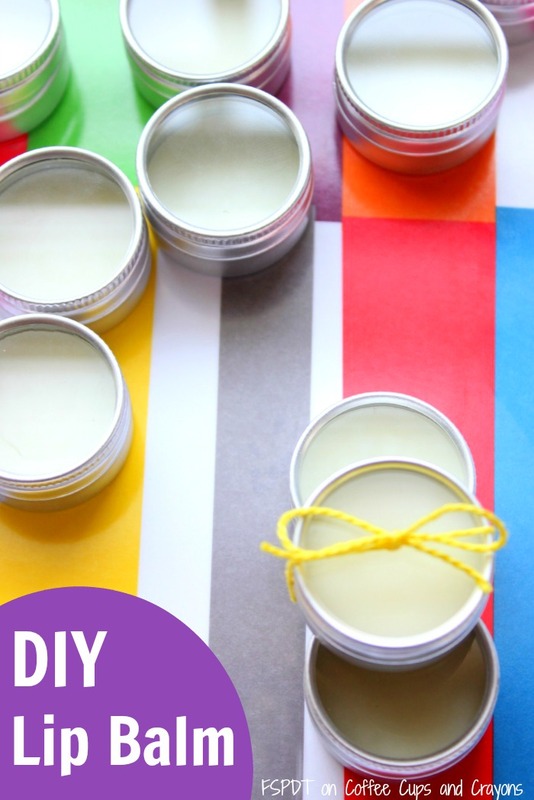 We now can make my chap stick and lip balm loving kid his own at home. Cheap and safer for him. We hope you can enjoy this too! Yes! Jaime used citrus essential oil here, but you can add any flavor you like!